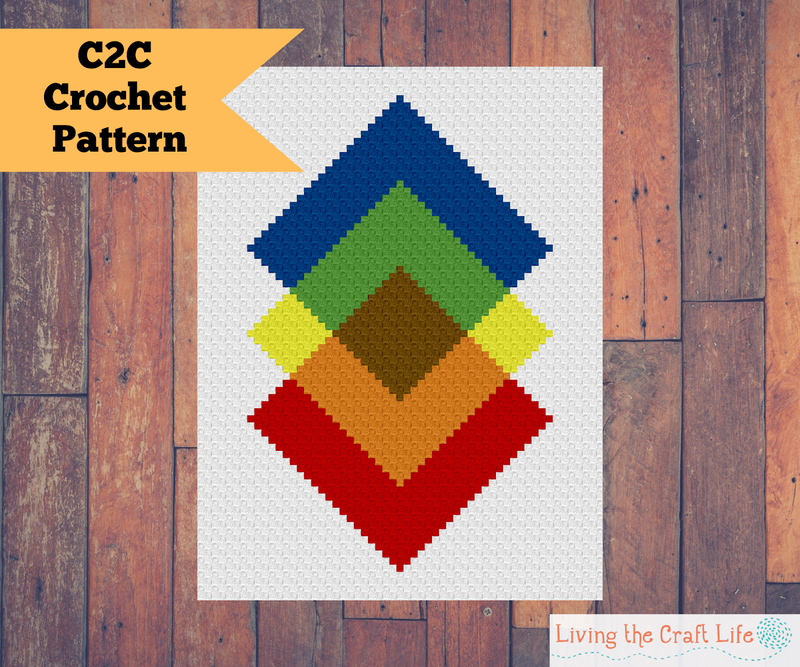 This is the next design in my RAINBOW themed C2C lap blankets. 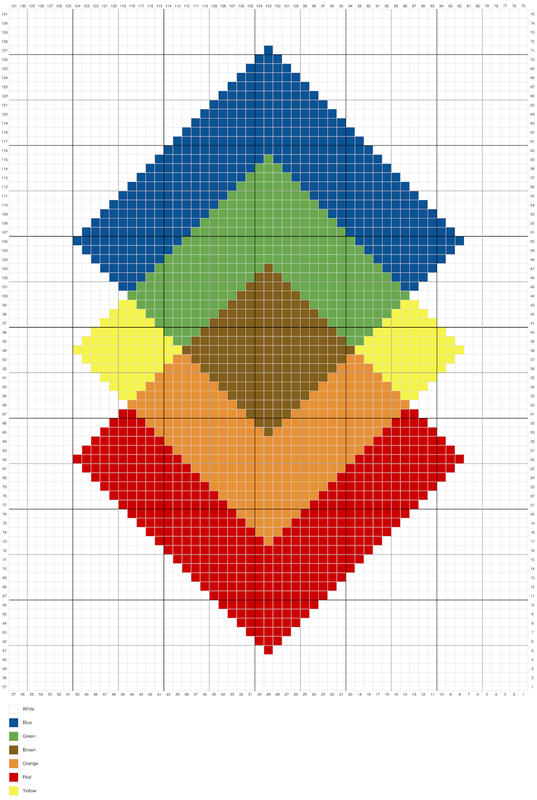 This one is a little more modern design with fewer colors. It uses more darker shades of the primary colors which makes it more bold and modern. Gauge not essential, C2C Crochet a triangle 8 blocks high. 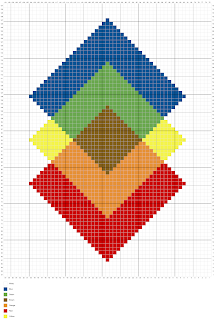 If your triangle measures 5.5” tall, your project will end up being 38”x 50”.